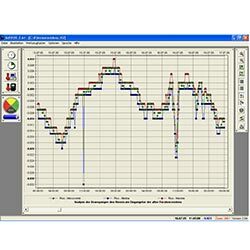 Besides crack movements, the wall crack data logger also records the air temperature and humidity. 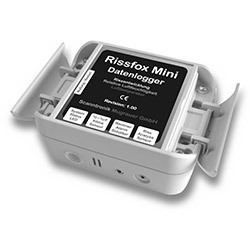 The wall crack data logger Rissfox mini’s effectiveness accrues from its calibrated crack-sensor, digital CMOSens ® sensors for humidity and temperature measurement as well as a RISC microcontroller. With this equipment, the wall crack data logger not only reaches a high crack-resolution (0.0025 mm), but also a high resolution regarding the air temperature and humidity (0.1 ° C and 0.1% RH). 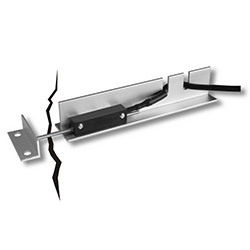 The wall crack data logger stores up to 64,000 readings. In combination with the integrated real-time clock, these readings can be aggregated to meaningful records. 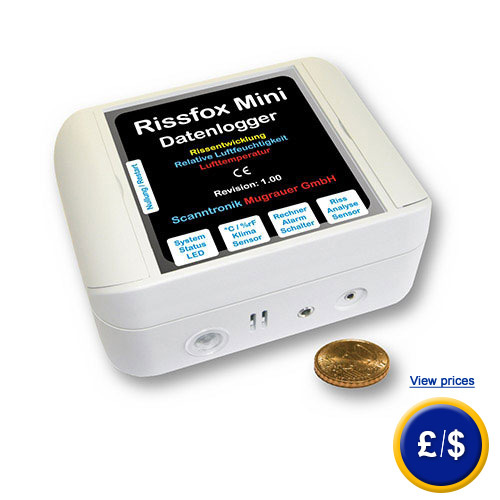 The reading of the records and the configuration of the Mini Rissfox are possible via the software kit SoftFOX, which is compatible with all major computer operating systems. The quality and accuracy of the wall crack data logger can be proven with optionally purchasable calibration certificates. Due to these various features, the wall crack data logger mini Rissfox is particularly suitable for use in structural health monitoring, failure analysis, protection of historic buildings but also in research and development. If there are any questions about the wall crack data logger Rissfox Mini -RS and -Climate, please see the technical specifications below or call us: UK customers +44(0) 23 809 870 30 / US customers +1-410-387-7703. 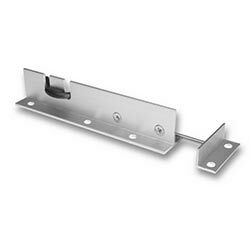 Our engineers and technicians will help you with wall crack data loggers, and of course, with the other products in the field of regulation and control, measuring instruments and scales. 0.4 ° C at 20 ° C.